Photos by Rob Tysall, Tysall’s Photography. 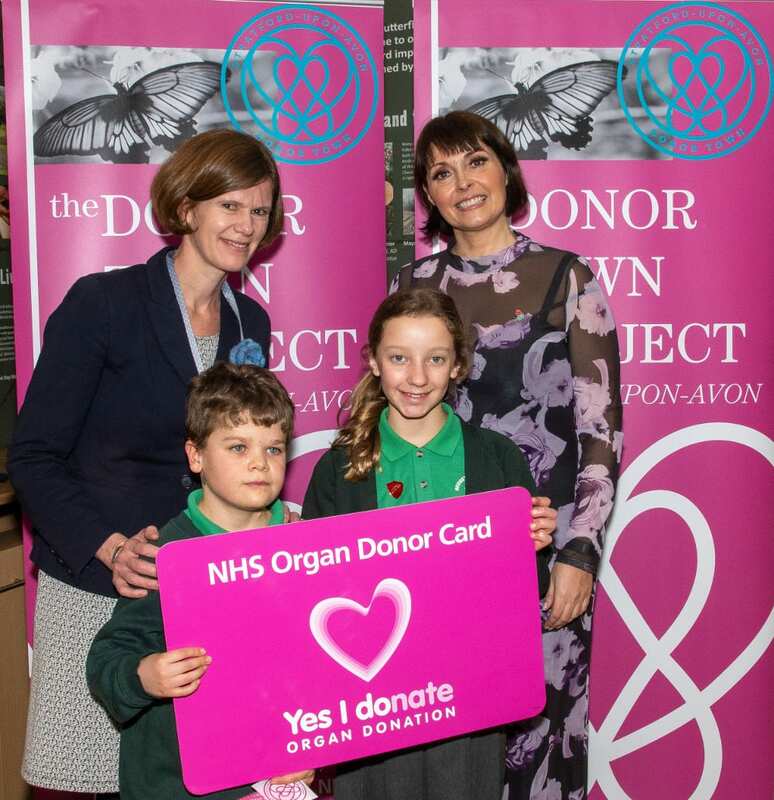 A new initiative to promote organ donation had been launched in Stratford. Ann Evans went along to the launch. 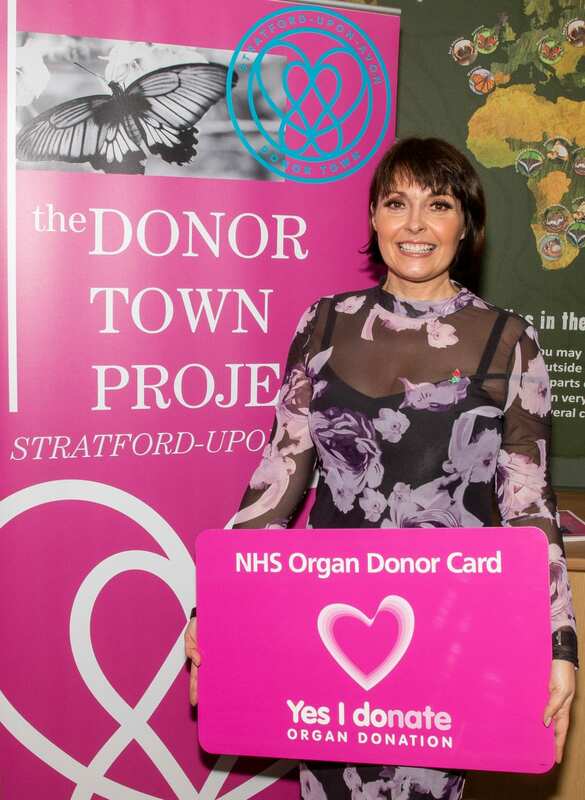 Stratford upon Avon has become the first Donor Town in the UK, marking a nationwide life-saving initiative to promote, support and save lives through organ donation. Every day in the UK, 3 people die waiting for a donor organ. Many of these lives could be saved if more people donated their organs when they died. The aim of the Donor Town Project is to come together as a town and community to promote, support and save lives through organ donation. It aims to increase the number of people who make their wishes known to their loved ones and sign the organ donor register. The title of ‘Donor Town’ will be passed on to the next town after 12 months, along with support and the sharing of the town’s knowledge and experience. The Donor Town Project is founded by Sally Bee, cookbook author and TV chef, best known for her appearances on ITV’s Lorraine breakfast show. Sally is a heart patient with a very rare condition called SCAD. She has survived five heart attacks. Sally is a passionate ambassador for organ donation, is a host for the British Transplant Games, and is part of the oversight group to ensure the continued support and education about Organ Donation in the future. Birmingham is the first Donor City, and Sally launched the First Donor Town on 24th January in Stratford upon Avon, choosing the Stratford Butterfly Farm as the venue for the launch. The butterfly being the symbol of new life, hope and rejuvenation. 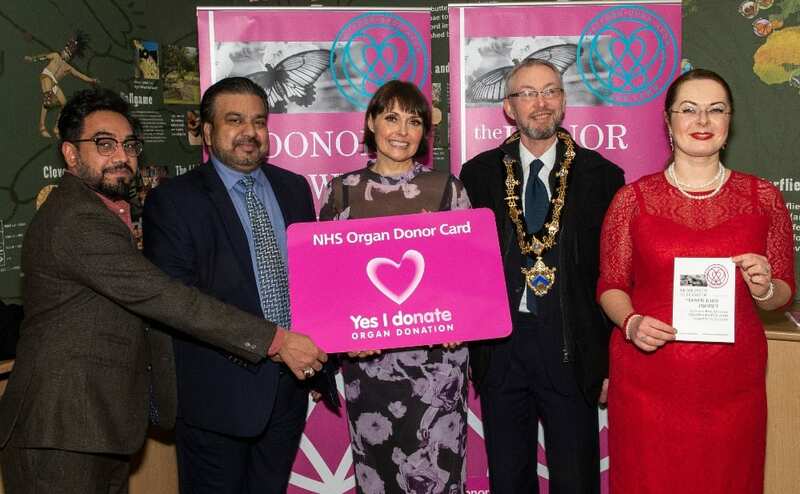 Sally was joined by Stratford-upon-Avon Lord Mayor Cllr John Bicknell, the founders of the Global Kidney Foundation, as well as recipients of organs and relatives of donors who spoke movingly about their personal feelings on organ donating. Pupils from Bridgetown Primary School also posed for the cameras as their school became the first ambassador school for the Donor Town Project. The hope for the donor town project is to build up a network of local businesses, shops, schools, colleges, doctors, dentists, social groups, families, newspapers, radio stations, and individuals to make a commitment to have a conversation with the people around them to educate and promote the benefits of organ donation and make their wishes known. The community will show their support by signing the organ donor register, and by displaying posters in shop windows, car stickers, banners on vehicles and business websites etc.